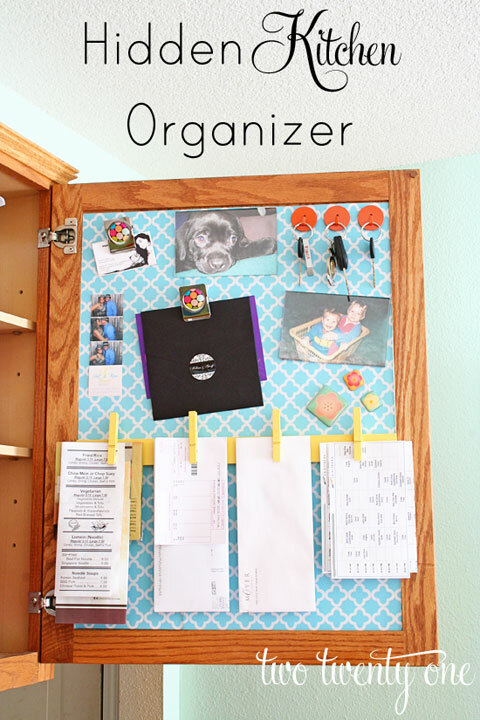 Here is an easy and inexpensive solution to organizing your home life. Chelsea from Two Twenty One created this hidden kitchen organizer on the inside of a cabinet door. Thank you, Edith! I loved that Kitchen organizer idea too!